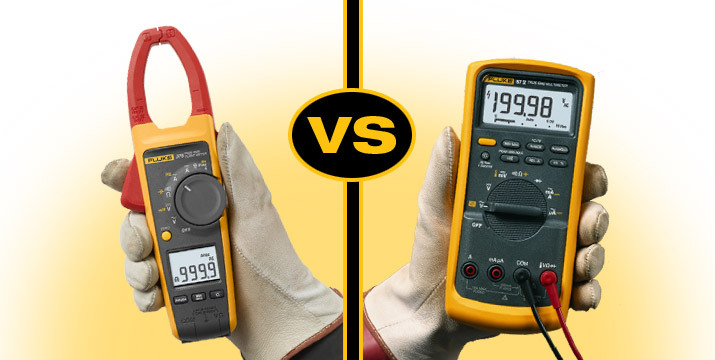 The Fluke 376 clamp meter, left, and the Fluke 87V digital multimeter. A digital multimeter is essentially a voltage-measuring tool with some current abilities. A clamp meter is basically a current-measuring tool with some voltage abilities. They are distinctly different instruments, each with its own advantages. A digital multimeter (DMM) allows you to do electronic work because it offers high resolution, measuring in milliunits—millivolts, milliamps and milliohms. It also allows you to do electrical measurements, though current is usually limited to less than 20 amps. 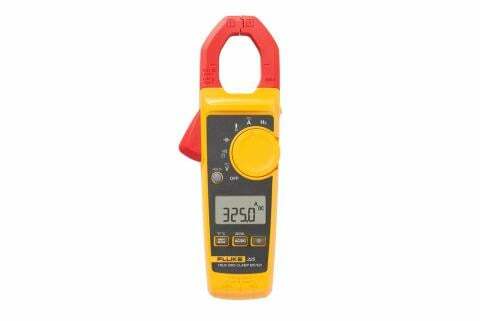 A digital multimeter, however, can measure higher currents if a plug-in clamp accessory is attached. A clamp meter usually measures to the nearest tenth or hundredth of a unit, rather than in the milliunits available with a DMM. This is sufficient for electrical tasks. In years past, electricians used test probes rather than a clamp to measure current. A clamp allows you to measure current without breaking the circuit and get a current reading. Measuring an analog conveyor speed signal and the respective motor current simultaneously, so you can calibrate the system for the required process flow. Monitoring solenoid output while monitoring input from the PLC, so you can test the solenoid. Simultaneously measuring electronic voltages and electrical currents at a motor drive, to troubleshoot line speed fluctuations. Monitoring feeder voltage and current simultaneously, to troubleshoot nuisance trips. Simultaneous voltage and current measurements are part of troubleshooting. Yet you cannot do simultaneous measurements with one meter unless you step up several price ranges into equipment used for power quality work. Effective troubleshooting often requires two meters, one to measure electrical current and one to measure voltage. For electricians, a clamp meter is the most versatile diagnostic tool available. Persons doing industrial troubleshooting, meanwhile, benefit from a separate clamp and DMM. A cost-effective approach for many technicians is to buy one quality instrument designed primarily for voltage (a DMM) and another tool primarily used for current (a clamp meter). The right combination of test equipment depends on the equipment you work on and the measurements you make. With a clamp meter, for example, you might need a low-pass filter to eliminate electronic interference that could distort readings. Basic DMM: If your job requires only basic voltage and continuity measurements. High-end DMM: If your job involves power quality work. You’ll need the high resolution and advanced features not found on clamp meters. Basic clamp meter: If you just need basic current measurements such as ensuring all three phases on your feeders are pulling the same current. Logging clamp meter: If you have intermittent breaker trips that you need to resolve. 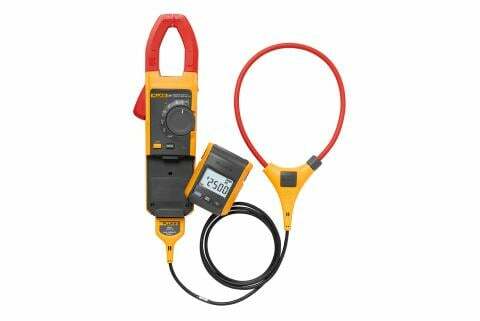 DMM or clamp meter with a detachable display (which can be separated 30 feet from the body of the clamp): If you want to take remote readings with greater safely and without needing a coworker to assist you. Advanced clamp meter: If you need to accurately measure motor inrush current. Also, if you need a clamp meter with advanced signal processing to measure the output of a variable frequency drive.